Don’t forget to keep an eye on our Other Workshops page for events around the country that some of our members are holding. 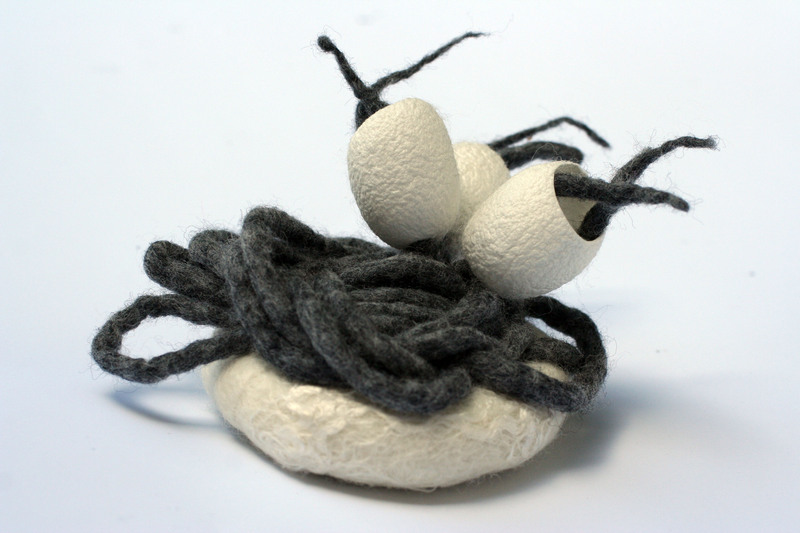 One of or members, Kate Lennon, sent in this video from the Netherlands showing how to darn by needle felting. 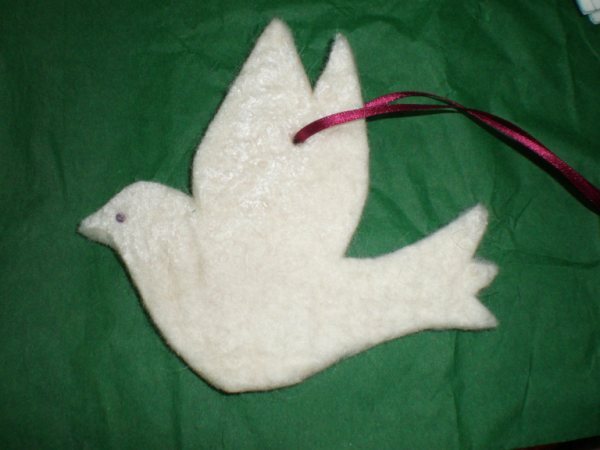 You should check out their site and have a look at some of their other needle felting projects. There is a lot of felt activity going on about the place at the moment. 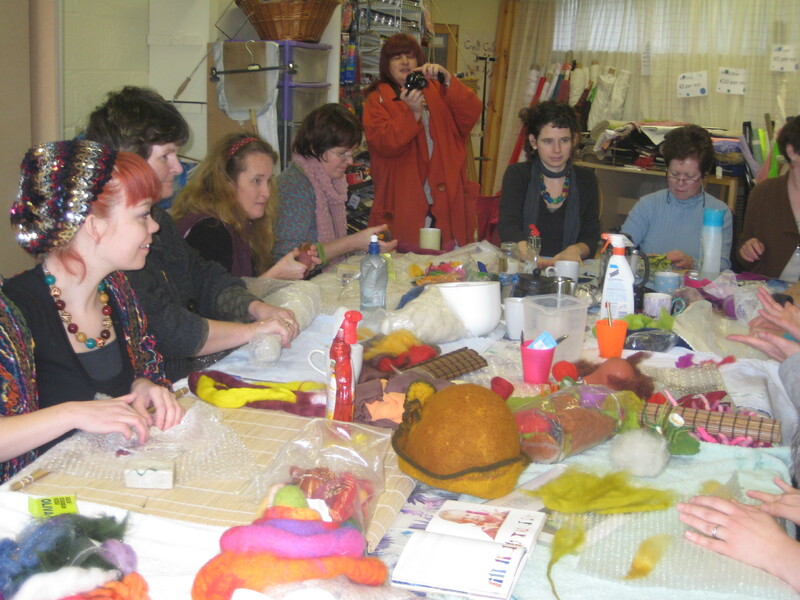 Yesterday (18th) there was a large group of enthuastic feltmakes attend the Drop In session in the Fabric Gallery in Bray. The three hours just flew by and everyone made finger puppets- which was just a scaled down way to learn how to add spikes (tails) and flaps (ears) to a hollow form piece of felt – et voila a mouse! The Drop In day tomorrow (20th) in Blanchardstown with explore the same theme. We have our annual Basic & Beyond workshop next Saturday and it is now booked out with 36 eager participants and 3 eager tutors. So we are all busy making goody bags, gathering pieces for the display table and putting all the finishing touches to making this the best day possible for all who attend. 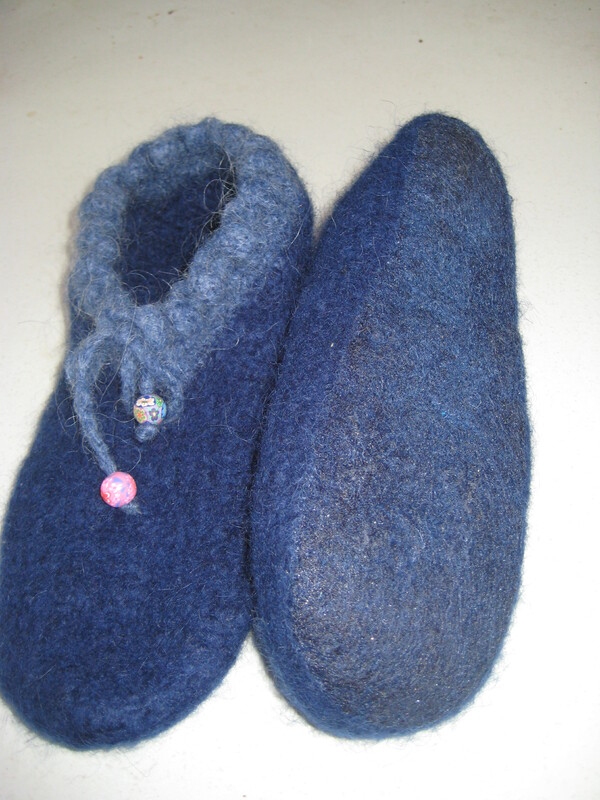 The Dutch felt makers Lyda Rump is coming to Ireland and there are two workshops being held in Carlow, this is a great opportunity and you can find more details on our “Other Felt Workshops” page. The Science Gallery in Dublin is holding an exhibition of crochet which is all made to a specific mathamatical principal – the hyperbolic plane. It is a fascinating idea and exhibitions have held in locations in the US, Australia and London. 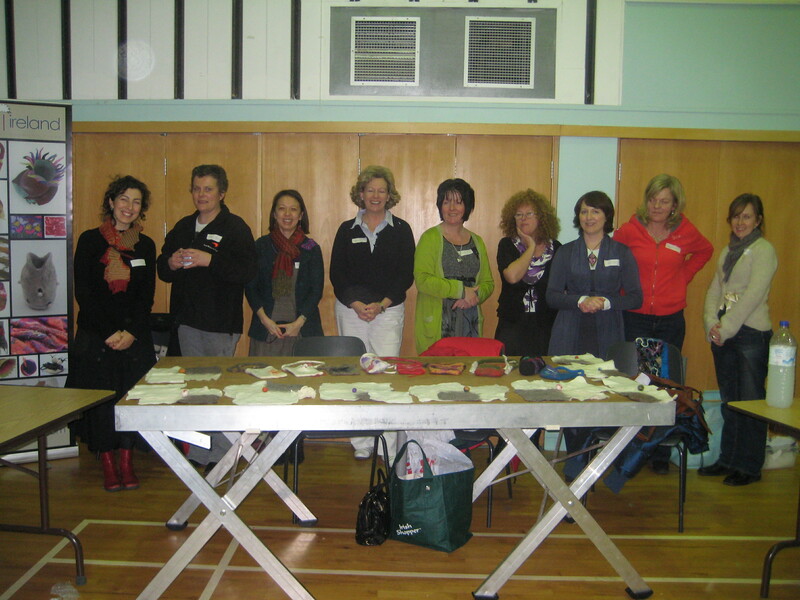 There has been a lot of interest and excitement from Irish crochet, knitting and felttmaking groups. 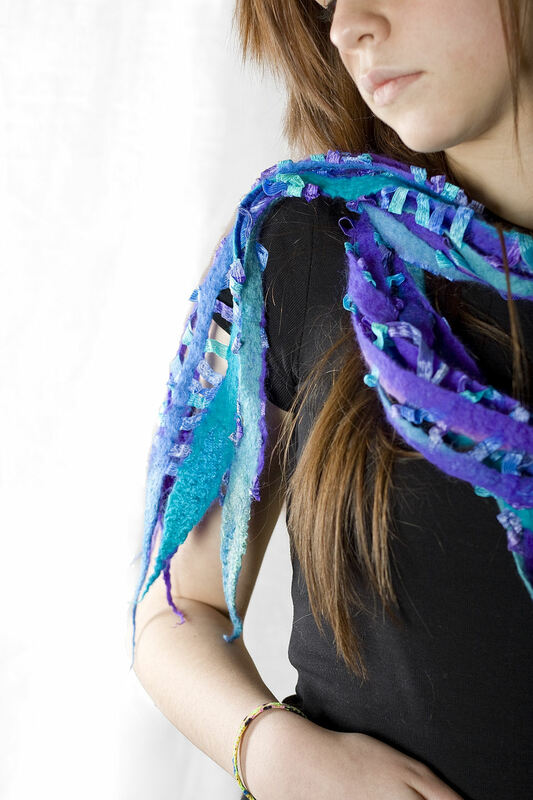 The patterns are easy to follow and the Wolly Way has a link to download patterns. 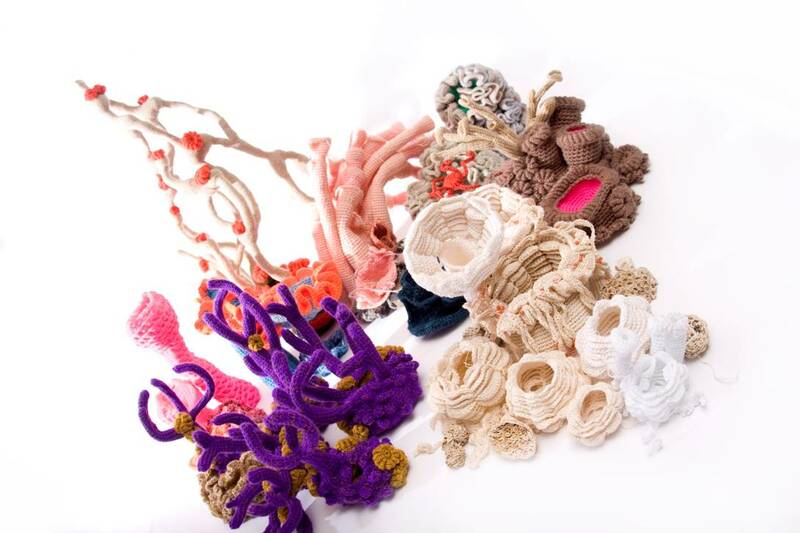 There is great potential to include felt into the project particularly to give structure to some of the pieces. Have a look at the link below – a very inspirational presentation from one of the creators of the project Margaret Wertheim, who will be curating the exhibition in Dublin. The next workshop is being held in the Science Gallery on Sunday 24th January from 1.00 – 3.30. Many thanks to Irene Lundgaard for all her help.